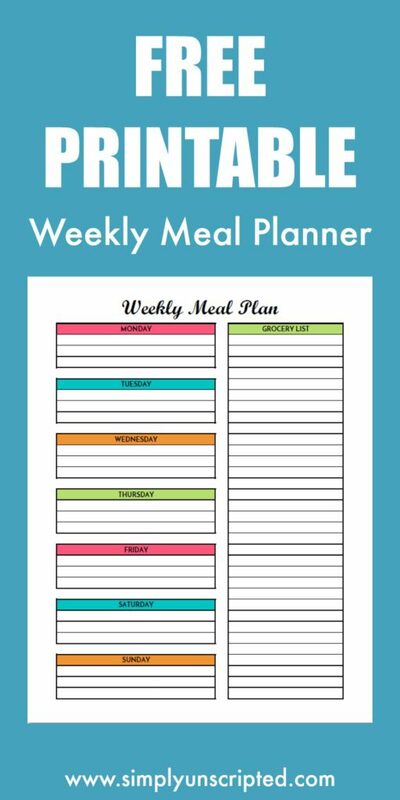 Plan out your meals for the week with this free weekly meal planner printable with grocery list. 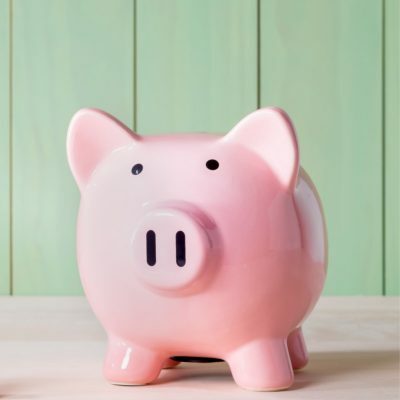 Meal planning is one of the easiest ways to save money on food costs. It reduces the stress of trying to figure out what’s for dinner at the last minute (when everyone is already hangry). When you have a meal plan in place, you’ll reduce the temptation of ordering out or grabbing fast food. Meal planning has simplified my grocery trips because I know exactly what we are going to eat for the week. I also keep a couple of easy meals on hand so I have something to fall back on if the day gets too hectic. Use the template to plan each meal of the day with a space for breakfast, lunch, and dinner. 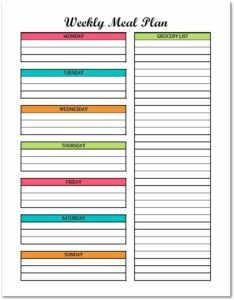 Or use the template to plan out just dinner menus for the week with a space for the main course and sides. Plus, I’ve included a grocery list on the side so you can plan your grocery trip while you are creating your meal plan. The meal planner is a PDF file and Adobe Reader is required to access and open these. It is free to download.